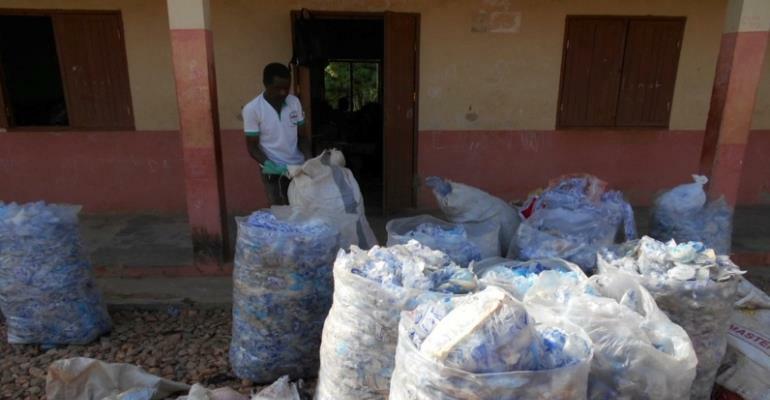 The Environmental Protection Agency (EPA), has shut down Edisaw Company limited , a plastic manufacturing factory in the La Dadekotopon Municipality of the Greater Accra Region, which has been cited for serious air pollution. This follows Citi News' report on how the operation of the factory was affecting residents in the area. The residents had complained about the health challenges the factory exposes them to and called for its closure. Director of Public Affairs at EPA, Angelina Mensah, told Citi News that the factory was closed down because it was operating without permit. She said the company cannot operate again until the managers of the factory take steps to get a permit, adding that even if the permit is granted, they will certainly be relocated. “They will not operate again until they come to have discussions with EPA and considering the fact that the community complained about the fumes and pollution, they will pay for us to undertake certain kinds of studies and let them remedy the problem. But I think from the look of things, they have to relocate,” she added. Edisaw Company Limited manufactures takeaway packs, toilet rolls, as well as plastic and polythene bags. A group of residents in the area have for the past few years complained about the activities of the company. EPA had closed some factories in recent times following Citi News report on the health hazards posed to residents. They include the Happy Sunshine Company, producers of La Vonce tomato paste at Kuntunse, and the shutting down of the plastic processing unit of the Shinefeel Ghana Company Limited at Asutsuare in the Shai Osudoku District of the Greater Accra Region.